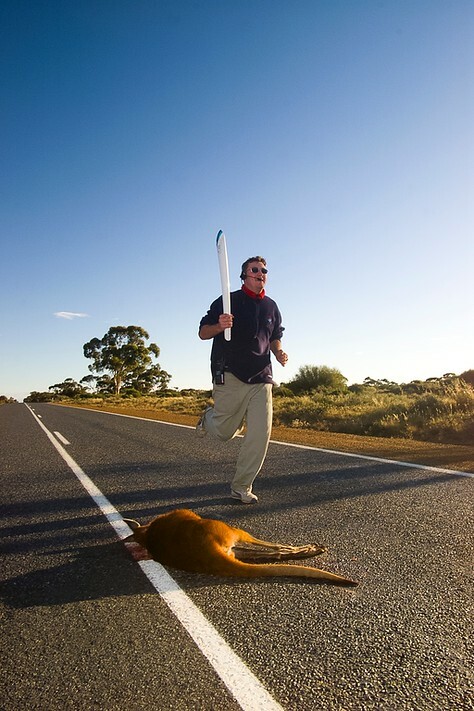 Travelling across the length and breadth of Australia, I was always on the look out for interesting and iconic moments to include in the visual story of the Torch Relay. 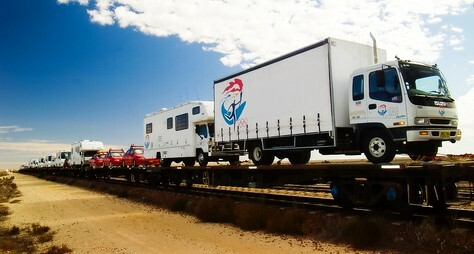 The team had spent over two years planning the route and including as many great ‘photo opportunities’ as they could. But there was always room for more. I would always keep in contact with the advance teams (the crew that traveled ahead of the relay setting up and preparing for the actual relay day). They were an important source of intel of what was coming up ahead and what things I should be keeping an eye out for. Some were traveling a day or two ahead of us, while others were only 20 minutes ahead. Both were great sources of information. And the more we work on the relay, the more they understood why I needed to get great shots. One aspect of travelling along Australian roads that everyone experiences is road kill. Kangaroos, wombats, galahs, snakes – all manner of wildlife come to an untimely end while trying to cross highways. The advance team and local councils did their best to keep our route clear and clean so we didn’t come across a grissly scene with the Olympic Flame. But our mischievous side (and boredom setting in from long days on roads that looked the same) was kicking in. And I had quietly put the word out that I wouldn’t mind an ‘unusual shot’ with road kill. One day I got a call that there was one up ahead – but it was not on a part of the actual route. Which explains why it was still lying there (if it was on a route, it would have been cleared already). But this was my chance – so I got a lift to the location and shot a few frames. Now the ‘torchbearer’ was not real – he was a crew member. And the torch was not lit. So it was a complete set up and something I could never send to media – but it was a ‘unique and iconic’ torch relay image, even if just for our own morbid, internal use.